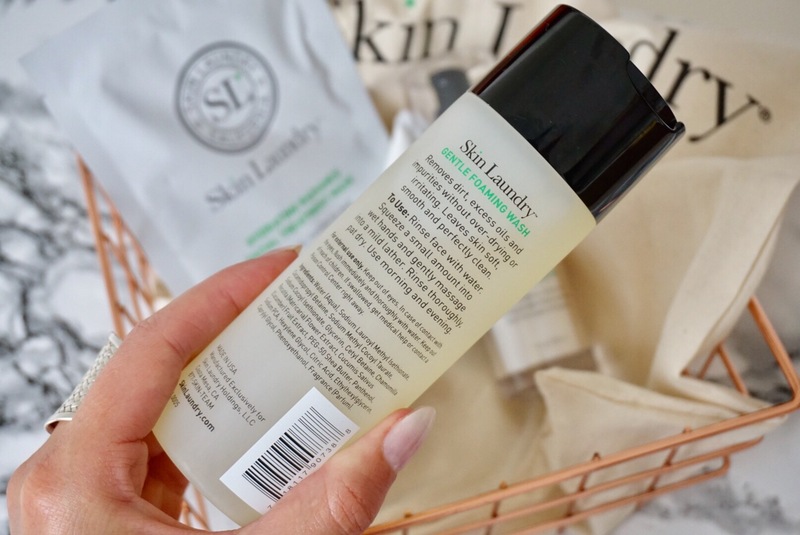 Skin Laundry, the famous LA beauty brand renowned for making world-class laser and light therapy accessible, have launched their innovative Wash & Wear Skincare line to luxury beauty destination Harvey Nichols (in stores across the UK and Ireland, as well as harveynichols.com). And what’s more? The ground breaking 15-minute Laser & Light Facial is now available in their Leeds and Bristol stores. 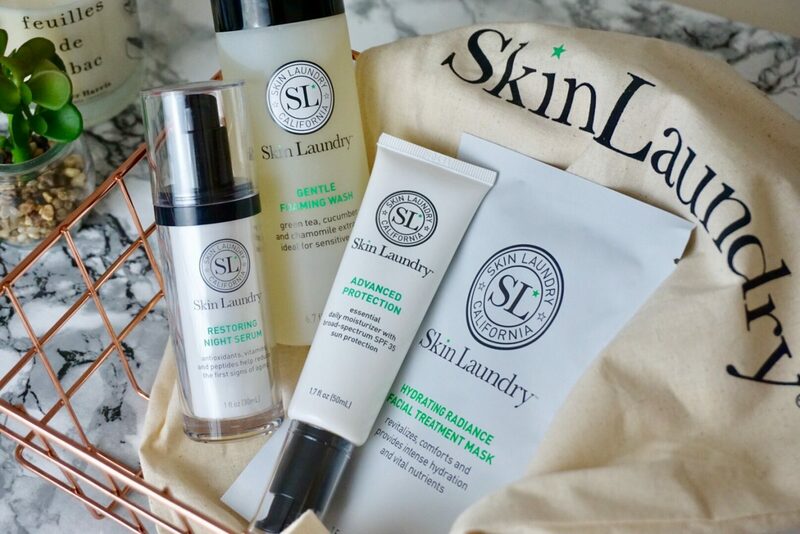 For those of us who don’t live near a treatment location, Skin Laundry offers a full product line of high-efficiency/low-maintenance products that mirror the results of their signature treatment. You can find them at your local Beyond Beauty department in Harvey Nichols, and online. 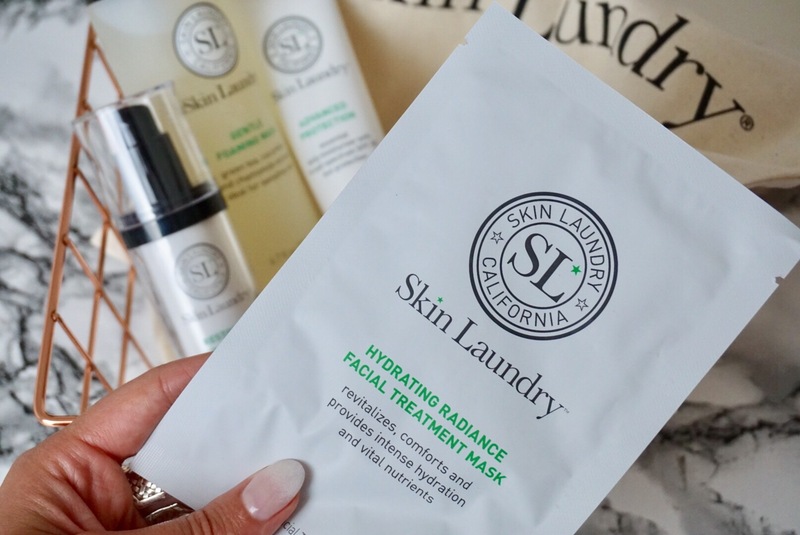 Famous in LA and New York for their Laser & Light Facials, the products work to mirror its incredible results at home; with cleansers and toners designed to deep clean, overnight treatments created to improve skin tone and hydrating sheet masks to brighten and nourish the skin. The range has gained a huge UK following since its launch in London last year. You can SHOP THE FULL RANGE HERE and check out some of the products I have been testing out below. I am a bit of a sheet mask addict, and this one is definitely a winner! Super hydrating, after 15 minutes it plumps my skin up so much that pores and fine lines are reduced. Key ingredients include vitamin B3 to help fight breakouts and signs of aging to strengthen and rejuvenate skin while improving tone and texture, moisturising and rejuvenating meadowfoam seed oil, and Aquacell – a natural complex that improves skin hydration and minimises fine lines. 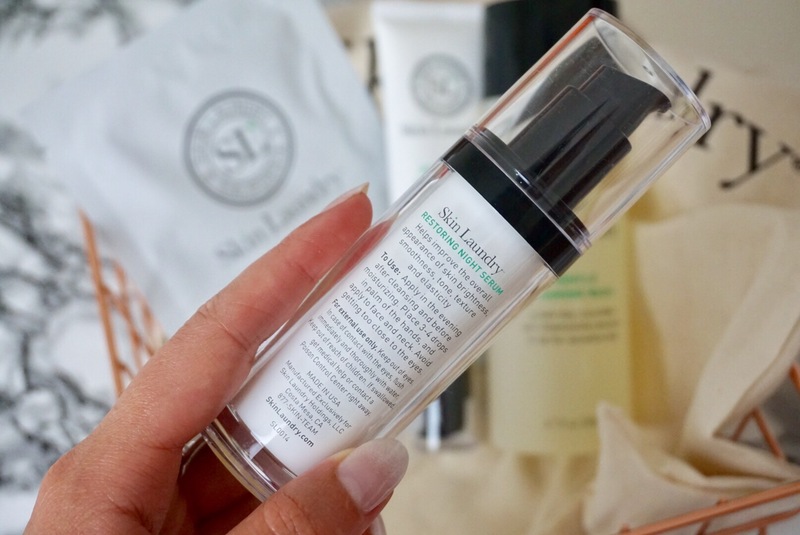 This serum includes some of my favourite skincare ingredients which fast-tracked it into my LOVE list. Because I have oily skin and get blocked pores, I try to use products with Niacinamide daily as it helps to regulate sebum production. 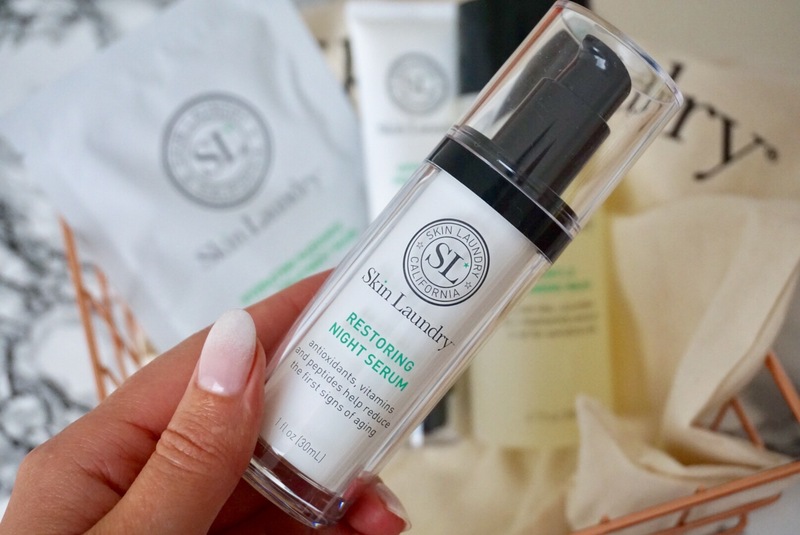 Skin Laundry’s Restoring Night Serum includes Niacinamide and much more. This anti-aging mega serum contains a powerful combination of antioxidants, vitamins, amino acids and natural extracts that work together to help protect, repair and resurface skin. It strengthens and rejuvenates skin while improving tone and texture. While the inclusion of glycolic acid, an alpha-hydroxy acid that exfoliates dead skin cells to clear the pores, increase cell turnover, and helps reduce the appearance of fine lines. This is an ideal anti-aging serum for all skin types, even sensitive. 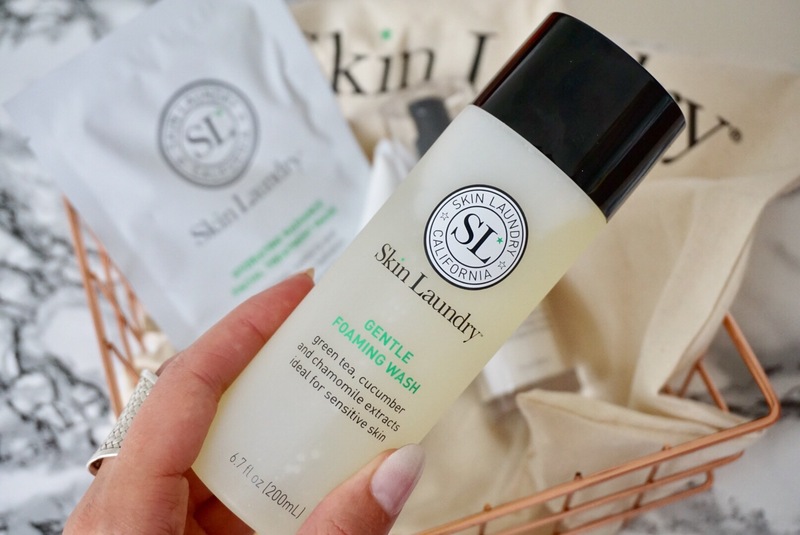 This is a gorgeous gentle wash that cleanses the day away without over-drying your skin, this is essential for ALL skin types! It leaves my skin clean and calm, great as a daily cleanser. 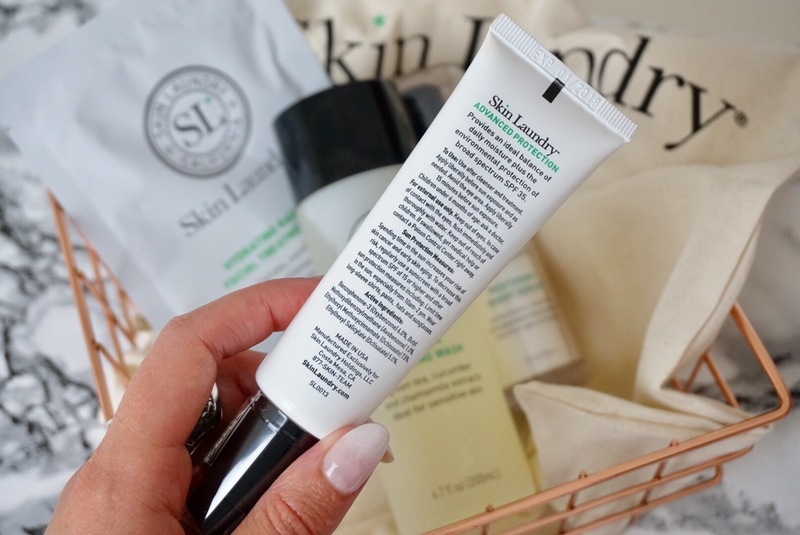 This formula contains soothing ingredients such as cucumber and chamomile extracts to minimise the potential for any redness and irritation while cleansing the skin. I used this every day while in Portugal. 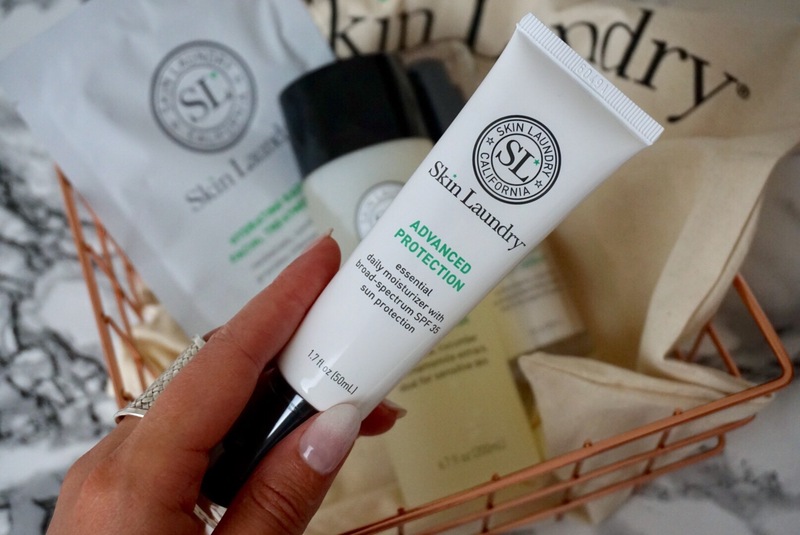 Skin Laundry’s Advanced Protection Daily Moisturiser contains broad spectrum SPF35 for sun protection along with mild and moisturising extracts to soothe and hydrate skin. This exceptional formula contains a blend of active ingredients including mount atlas daisy root extract to stimulate circulation and arnica montana flower extract to soothe and renew skin exposed to environmental stress. While vitamin E, well known for its antioxidant properties, helps relieve dryness and promotes skin healing. It moisturises skin from within and helps improve firmness and tone. PR samples included, affiliate links used - view my full disclaimer HERE.